The Best Crystal Healing blogs from thousands of top Crystal Healing blogs in our index using search and social metrics. Data will be refreshed once a week.Also check out Top Crystal Healing Youtube Channels list for Top videos on Crystal Healing. Crystal Healing newsletter is a comprehensive summary of the day's most important blog posts and news articles from the best Crystal Healing websites on the web, and delivered to your email inbox each morning. To subscribe, simply provide us with your email address. Pompano Beach, FL About Blog Master the science, art and fun of crystal healing and therapy and know a unique perspective to the world of crystal healing by learning what they’re capable of. Facebook fans 322,078. Twitter followers 3,058. Torrance, California About Blog The Energy Muse Blog brings you ancient wisdom for modern times. This is your go to guide for healing, crystals, spirituality and more. Our mission is to educate and reconnect the world to the ancient wisdom & healing properties of crystals. By connecting the world with the power of crystals and their intention, we are empowering people to tap into their own personal magnificence. Facebook fans 251,975. Twitter followers 12,083. About Blog Healing Crystals is dedicated to "Promoting education and the use of crystals to support healing. This channel offers tips, ideas, and suggestions on how to use and work with crystals. Facebook fans 1,080,186. Twitter followers 17,915. About Blog Learn to use healing crystals, for self healing, develop psychic gifts. See crystal pictures to identify specific stones, and learn healing properties of many crystals. The Healing Crystals For You Blog keeps you up-to-date will all the new additions and change here at healing-crystals-for-you.com. Facebook fans 31,534. Twitter followers 352. WorldWide About Blog Christa has over 15 years experience in crystal healing and runs a thriving healing practice. She holds a Master of Crystology. This channel discusses the historical uses and healing properties of crystals and gemstones with crystal expert Christa. Facebook fans 1,672. Twitter followers 635. Las Vegas, NV About Blog This blog has been designed to support William Weigel’s healing process and to be a place of reference for her clients. You will find crystal meanings, chakra information, and crystal uses throughout history. Facebook fans 11,223. Twitter followers 460. Brisbane, Queensland About Blog Blog by Melanie Surplice, she is passionate about holistic therapies, personal and spiritual development. She offer shamanic crystal healing, chakra balancing and Reiki treatments in Brisbane, and intuitive Angel Card & Crystal Readings online. On this blog, you’ll see posts about crystals, chakras, mindfulness, meditation, mindset, personal development, holistic therapies and more. Facebook fans 22,157. Twitter followers 561. Yorkshire, England About Blog Crystal Healing Blog shares useful guides and tips for working with your crystals and creating sacred space. Facebook fans 1,290. Twitter followers n/a. Salt Spring Island About Blog We are a husband & wife team located in beautiful BC, Canada. We have been lovingly curating Minerals, Crystals, Fossils & fine gemstone jewelry for collections since 2011. Our journey offering these wonderful crystals began at local markets and since, has expanded into offering the world our collections. We have now happily shipped well over 7,000 parcels to every part of the globe, spreading good vibes throughout the world. Facebook fans 231,480. Twitter followers 1,833. Sheffield, UK About Blog The blog is full of free information in the form of blogs, exercises in protection, how to use crystals for physical healing, meditation or spiritual development, how to handle emotions and a huge A-Z of Crystals & Minerals and A-Z of Issues and Ailments. I believe in love, laughter, compassion, empathy, sharing and most of all, supporting & empowering each other on our journey through life. Facebook fans 2,363. Twitter followers 1,284. About Blog The latest news from Crystal Healing For Women. Crystals Brought Me To You And Now I AM Sharing My Story And Them With You. My site is about Crystal Healing, with a very specific purpose behind. To bring the magic, beauty, and powerful metaphysical properties of crystals to others who may benefit from the use of the Crystal Healing Kits, I lovingly create, with the best of intentions. Facebook fans 1,119. Twitter followers 13. Arkansas About Blog Arkansas Crystal Works features high vibrational natural healing crystal points, unique crystal, clusters, crystal wands, crystal jewelry points, all gathered with respect and honor to Mother Earth and the crystal. Helping people to understand the language of Quartz Crystal and spreading their light worldwide. Facebook fans 1,206. Twitter followers 58. Sydney, Australia About Blog A safe & sacred shamanic journey into your full potential Crystal Dreaming is an advanced crystal healing technique which uses a unique Mandala of crystals laid around the body. Facebook fans 509. Twitter followers n/a. Lancaster,California About Blog Keep up with information on Metaphysics, Mind Potential,Energy Healing Healing Crystals and Spirituality. Facebook fans n/a. Twitter followers 1,042. USA, London, UK, Cape Town, South Africa About Blog Founder of Crystal Surgery, Vivien Schapera, shares her wealth of knowledge about Crystals and Healing. Topics range from tips and insights for beginners to advanced techniques for professional healers. Over 35 years of teaching experience contribute to a thoughtful presentation of original work. Facebook fans 612. Twitter followers 29. About Blog The Academy of Inner Resonance is a school of subtle energy medicine and inner development that provides training in crystal therapy. A regularly posted blog on all matters to do with crystals, energy work, healing, subtle energy and development. Facebook fans 57. Twitter followers n/a. Calgary, Alberta About Blog Crystals and gemstones have been used and carried around by our ancestors from all walks of life dating back many years; they were carried for their magical energies. Gifts from the earth, healing crystals and handcrafted metal jewellery. Kerri also puts together crystal healing/mediation kits and crystal gift boxes, Kerri hopes to bring her love for crystals and gemstone energy to others. Facebook fans 240. Twitter followers 204. Fayetteville, NC About Blog Johnna Sabri is The Gem Diva who specializes in custom wire wrapped jewelry, metaphysical and crystal healing education, and owns JohnnaSabri.com blog.My goal is to educate you about healing crystals, spirituality (the science, not religious parts), and dress you up in stunning handmade jewelry that is seeded with divine love. Facebook fans 1,866. Twitter followers 26,387. Blue Ash, OH About Blog Beth Ann Kennedy is a professional crystal healer, psychic medium and teacher of the intuitive arts. Beth Ann has trained extensively as a healer, specializing in crystal healing and intuition. She also researches, develops, and instructs others in crystal healing techniques. Beth shares her unique gifts by providing training to professional healers in intuition and crystal healing. Facebook fans 4,287. Twitter followers 19. About Blog I am a Certified Crystal Healer & Reiki Practioner ** Crystal healing is a deeply relaxing, rejuvenating, clothing on, minimal contact therapy of placing crystals & stones on the body in relaxation; Re-alignment of energetic frequencies, removes emotional & energetic blocks, while allowing for soul learning, healing & spiritual growth. Facebook fans 2,538. Twitter followers n/a. About Blog Crystalline Cure is dedicated to raising awareness of the healing and metaphysical properties that Crystals and Minerals alike contain. Crystal Healing is a not just a healing method but a lifestyle of eternal improvement and cultivation of one’s body, mind and spirit/soul. I look forward to sharing as much information as I can to help you on your own personal journeys. Facebook fans 2,403. Twitter followers n/a. About Blog The CK Foundation was created to help us create a forum for global healing awareness, to enlighten people by teaching them about healing and soul refinement - our founder is Janine Regan-Sinclair; a pioneer in the field of complementary health. In this blog, Janine Regan-Sinclair shares about health, self empowerment and spirituality to help you improve your health. Facebook fans 997. Twitter followers 1,143. Durham, NH About Blog I am Damla Aktekin. I am a Healer. I help people with energetic wounds to reclaim their light and replace their burdens with joy, love and bliss. Facebook fans 1,335. Twitter followers 153. Perthshire UK About Blog Spiral Crystals is a website based in the Scottish countryside, selling crystals charged in nature, incense, flower essences, singing bowls and handmade products. Facebook fans 394. Twitter followers 456. About Blog The Blog of Sarah Elizabeth Todd crystal healing teacher, writer and coach dedicated to helping you become the person you want to be. Learn how crystals and crystal healing techniques can help you heal your body, mind and spirit and improve the quality of your life. Facebook fans 1,551. Twitter followers n/a. About Blog Helping you to grow, heal, and empower yourself with the help of crystals and stones. ​I am truly passionate about helping you to heal your mind and spirit holistically though the energy of crystals. Blog by Leiah Luna. Facebook fans 884. Twitter followers 64. About Blog Touchstones School offers ACHO accredited crystal therapy practitioner training courses for all levels of interest, from those just starting out on their healing journey with crystals, to those who are already qualified Crystal Therapists and would like to learn more. Mission is to train Crystal Therapists with a strong emphasis on spiritual development and personal empowerment. About Blog Healing is a Fine Art, it takes time, process, journey and will to assimilate the healing and have as a result a Fine Piece of Art. A Crystal Healing Treatment brings all that back into you. A Crystal which is a natural source, channel, amplifier and transmitter of energy, is like a brush that brings color to your canvas. 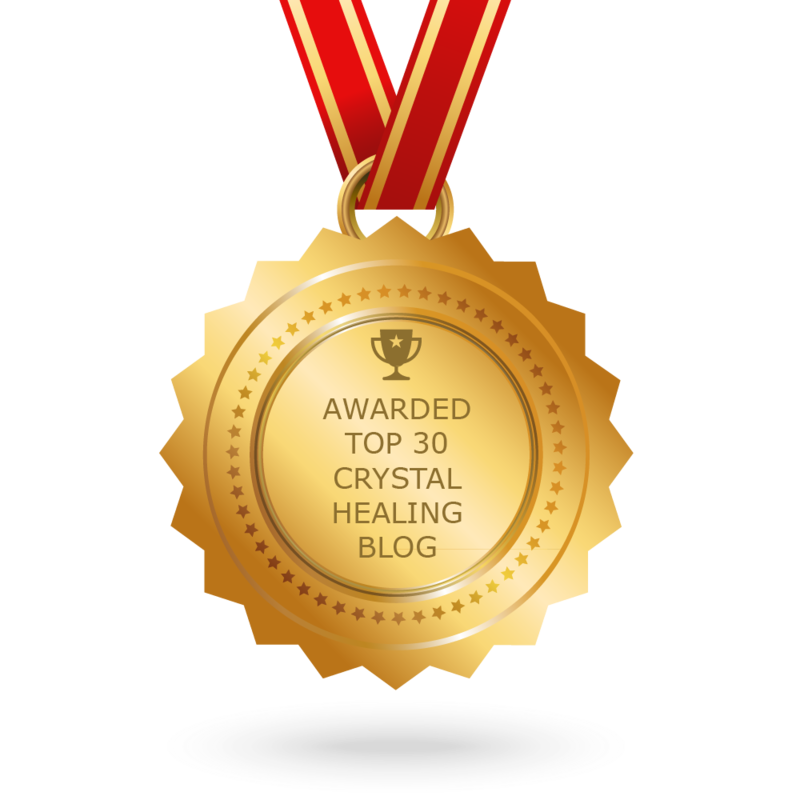 CONGRATULATIONS to every blogger that has made this Top Crystal Healing Blogs list! This is the most comprehensive list of best Crystal Healing blogs on the internet and I’m honoured to have you as part of this! I personally give you a high-five and want to thank you for your contribution to this world.